Tennis Server - Circle Game - What's Your Type? It's not often that we get a chance to spend time with one of our idols, but I was fortunate enough to do so twice within the last seven months. Those of you that have read my columns on a regular basis over the past few years should have little trouble identifying that idol as Vic Braden. Braden, for the uninformed, is the legendary tennis coach, psychologist and scientist who has educated and entertained the world for over 50 years. 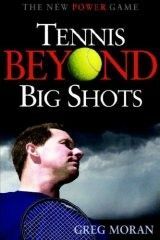 He loves to describe himself as simply, "a short, fat tennis coach" but he is so much more than that. Arguably, the greatest tennis instructor in the history of the game, Vic has taught everyone from celebrities to world leaders and Wimbeldon champions. In addition, his research into the mind-body connection has truly transcended the sport and brought us insights that have helped us understand our performance, both from a physical and psychological standpoint, in every arena of our lives. Braden's credentials and place in history are significant, so the opportunity to spend time with him is one that no tennis player, or thinking individual for that matter, should pass up. Vic appeared at our club in Connecticut last weekend and, as always, was a major hit among all involved. Despite Vic's celebrity and professional acclaim, he remains first and foremost, one of the nicest, and most humble, men I've ever met. The huge smile remains intact and despite his years in the business (over 56) and his years on the planet (72), Vic retains a youthful enthusiasm, no make that passion, for his work and students. He is constantly searching, in the lab, on the court, on the Internet and in the library for the latest, cutting edge technology that will make us all not only better tennis players, but better people. Braden's current passion, and the focus of much of his classroom discussions this past weekend, was brain typing. What exactly is brain typing? Vic told us that brain typing was discovered about 30 years ago by a sports scientist named Jonathan Niednagel. Niednagel, the Director of the Brain Type Institute, has identified 16 different and unique brain types. From his website: "Each person has only one of the 16, and it's an inborn, genetically predisposed wiring that directly relates both mental and motor skills. Each brain type not only has inherent and specific mental proficiencies (and deficiencies) but physical ones as well. These inborn traits are the greatest determinants for why people do what they do (excluding personal ethics, morality, etc.)" In other words, by identifying how our brains are "wired," we can determine why we behave as we do and where our aptitudes lie, not only from a tennis or athletic standpoint, but in the classroom, the board room, and all of our relationships. "Brain types," says Niednagel, "can offer unparalleled insight and strategies for optimizing personal success--based on one's individual and unique design." "The aptitudes you have," continues Neidnagel, "are not built up over your lifetime, but are built in on the assembly line at birth." For example, the environment you grow up in is not going to make you a smarter mathematician or the world's number 1 tennis player because you have to have that innate wiring to be those things." (E)xtraverted vs (I)ntroverted: The tendency to draw energy from others against the tendency to draw energy from within. (S)ensing vs I(N)tuitive: Belief only in what the senses of touch, taste, smell, sight and hearing report against belief in a sixth, guiding sense. (T)hinking vs (F)eeling: The basing of decisions on logic versus emotion. (J)udging vs (P)erceiving: A work-oriented vs fun-oriented attitude to life. "In each pair," says Charlotte James, "an individual will subconsciously identify more with the attribute at one end of the scale than the other. So, for example, they will either be (e)xtroverted or (i)ntroverted. In each of these four cases, this attribute is the one that contributes to the way their brain functions." "There are 16 possible combinations of the eight different attributes. For example, a person can be ESFJ (extroverted sensing feeling and judging) or ENTP (extroverted intuitive feeling and perceiving). These different combinations constitute Niednagel's Brain Types." Great, but what does that have to do with us? That's where Vic comes in. Braden has gotten together with Niednagel because the two believe that "understanding the way our brains are wired allows us to maximize our strengths, neutralize our weaknesses, and can be used to guide any aspect of our life, including nailing match point in the final set." When you struggle in a match and begin to lose it mentally, if you have an understanding of how your brain works, you can then invoke very specific strategies to get it back together the two say. Are there skeptics? Certainly, but there is hard, scientific data to back this up says Niednagel. "We're doing genetic testing now and finding very specific DNA markers for each of the brain types and we hope soon to patent the various DNA characteristics for each type." In the "ACE" article, Niednagel says that "an understanding of your wiring can be crucial to your mental welfare whether you're an aspiring pro or a club hacker. About 70 percent of what good coaches teach is relevant for everybody," he continues, "but it's the other 30 percent that is critical because it needs to be specifically oriented towards the individual." "We're not all cut out to be great athletes. It's important to realize that people are normally happiest when they're doing things that sit well with their psyches, not putting themselves under pressure to achieve things that their brains aren't wired to achieve." Niednagel believes that tennis success is 90 percent due to mental skills and that this figure is rising. "Of course, you have to build a game and develop the technique and mechanics of tennis," he says, "but I know people with poor mechanics and technique who beat better players all the time because they know exactly how their minds work in different situations. If athletes just spent five minutes a day on the right mental techniques, within a month they would be much stronger mentally and within a year they'd have gained significant control over their minds." Fascinating stuff and, once again, Vic Braden is right in the middle of it. After finishing his college at our club, Vic hopped a ferry to Long Island where he was hoping to answer some of the 832 e-mails he had received over the past few days (yes, he answers everyone personally) and then it was on to conduct another Tennis College before heading back into the lab. More information on brain typing can be found at www.braintypes.com, and further information on Vic Braden and his Tennis Colleges can be found by contacting Vic directly at http://www.vicbraden.com/.